Bond (Daniel Craig) and M’s (Judi Dench) loyalty to one another is tested as M’s past comes back to haunt her. MI6 comes under attack, undercover agents are exposed and Bond must track down the person responsible, no matter how personal the cost. As this is the 23rd Bond film, released in the 50th anniversary year of Dr No, it would be fair to assume that the 007 franchise is ready to put on a show; and it certainly does that. Daniel Craig is back as James Bond, and the vulnerability that was created in the character in Casino Royale – when he had his heart Royale-ly broken (sorry!) – is present in this latest big screen outing. Instead of a love interest breaking down Bond’s barriers, however, it is his relationship with M that is causing his heartbreak. 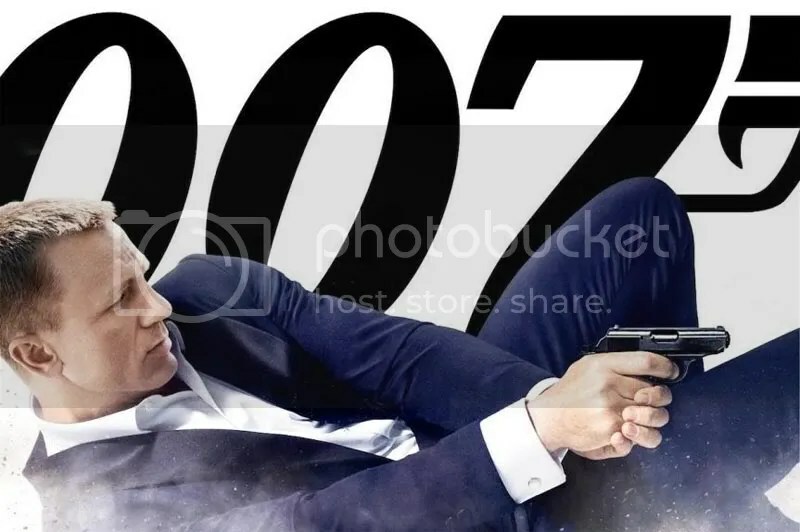 Craig never allows Bond to become weak, but he does create the idea of a man who is fighting to regain his vigour after an assignment goes wrong. Judi Dench has always been fantastic as caustic mother figure M, but this is the first time that she has been shown to truly have favourites, and a weakness when it comes to Bond. She may be gruff and impatient, but this is surely because she loves him… Dench shines in the role and she balances her tough exterior with a more vulnerable side that we have only seen glimpses of in M before. Although he does not appear until approximately 75 minutes in, Javier Bardem is on scene-stealing form as Raoul Silva. Bardem strikes the balance of charming and creepy, graceful and ghoulish and the audience gets the impression, from his opening monologue, that Silva has been practicing for the day that he comes face to face with the infamous 007. Silva is a villain the like of which we have rarely seen in a James Bond movie; many sexual undertones become overtones, and his ire is not directed at the world as a whole; just at one person, but if he has to take out millions of people in order to get to his target, then so be it. Bardem proved that he could bring sinister to life on screen with No Country For Old Men, and with Skyfall he has proven that he has still got what it takes, and is fully capable of bringing charm and charisma into the mix. Screenwriters Neal Purvis and Robert Wade are no strangers to the world of 007, having written Quantum of Solace, Casino Royale, Die Another Day and The World is Not Enough. Fellow writer John Logan has an equally illustrious career as a writer – although less experience in the world of Bond – and the script shows the combined experience. The one-liners and quips are there, but they are never cheesy, and the back and forths between Bond and M are just dazzling. The inclusion of references to Bond of years gone by create nostalgia while remaining witty, and bringing back beloved characters removed when the franchise changed direction, is a lovely touch. The story may twist and turn but, unlike Bond films of the past, the audience never feels confused, or as though they are being talked down to. As well as this, there are just enough real world connections, such as a plotline that is reminiscent of the Wikileaks scandal – to allow the audience to relate to the film. That said, there are moments where the story becomes predictable, and the outcome of characters’ actions is far too obvious. Sam Mendes directs the film beautifully and, while it is obvious that this is a Bond film, it is easy to see the director’s style on the screen. This is more than a story of guns and girls, and Mendes allows M to become the emotional heart of the film. As well as this, Mendes manages the action and chases scenes with as much ease as the dramatic ones, but he allows the Bond-esque elements to shine through. Skyfall is Bond at his very best. The cinematography and score are gorgeous – Shanghai has never looked so good – Mendes wonderfully balances his own style with that of the world he has stepped in to and the lead actors are simply fantastic. If there were to be a complaint, it would be the predictability of some of the plot points. This is not enough to detract from the film as a whole, however, and Mendes has created a wonderful, action packed film that packs an emotional punch.